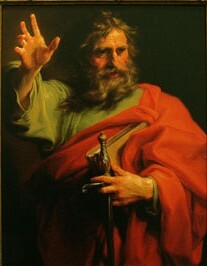 This past week the liturgical calendar recognized the Conversion of Paul on Friday, January 25th. Of course, like most stuff on the liturgical calendar, we don’t actually know the date on which Paul was converted, it’s just the date that traditionally has been used to remember the event – and an important event it was in Christian history, especially for those of us that are Gentiles! Saul, as he was originally known, was a tradesman, a tentmaker from the town of Tarsus, a city in southern Turkey. Because of his residency, he was a citizen of the Roman Empire, something that would be important later in his life. Saul was a very religious man, a member of the Pharisees, a Jew of impeccable religious practice and credentials. 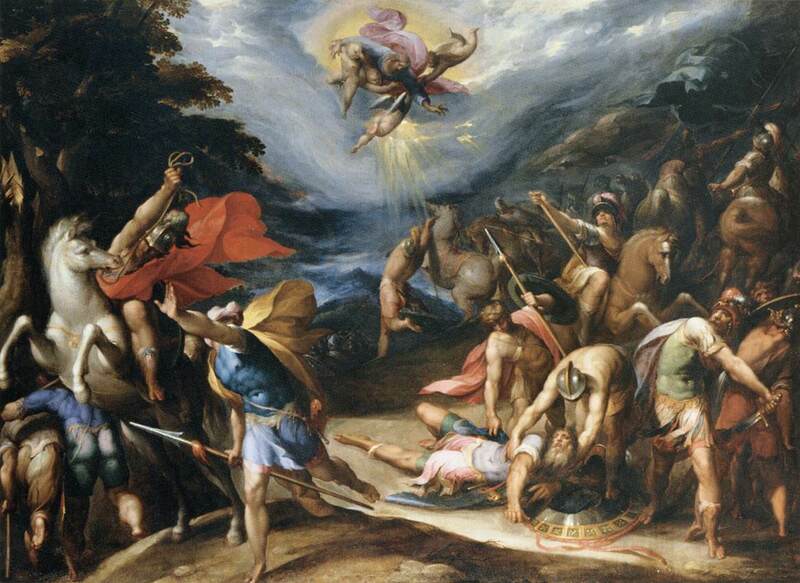 In fact, Paul was absolutely sure of his Phariseeical Jewish faith – of every bit of it, so sure that he was willing to participate in the stoning of Stephen without a moment’s hesitation – just as the torturers of the Tribunal of the Holy Office of the Inquisition in the 15th century – usually referred to as “The Spanish Inquisition” – were absolutely sure they were doing right as they twisted you on the rack. It was for your own good, for your ultimate salvation that they burned you with hot pokers. They tortured with absolute calmness of spirit, certain of the rightness of their religion. The only problem is that they were WRONG. I know Christians today so perfectly assured that they are right, right about every doctrine, understanding, and detail, so right that they would not hesitate a moment to stand with Saul holding the coats, throwing the stones, or turning the wheel on the rack. They have confused their certainty about their personal beliefs with TRUTH, and confused their certainty about their own sense of being right with GOD’S RIGHTEOUSNESS. They are not the same thing. 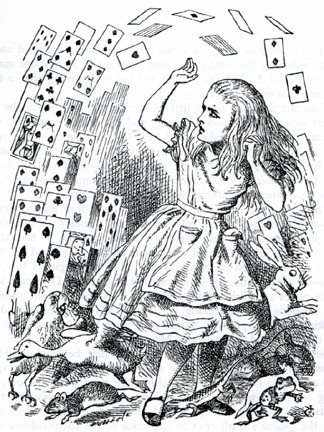 In fact, there are ways in which they are diametrically opposed! This confusion between “I am right” and truth, between “my understanding” and God’s understanding, is one of the fundamental problems of religion through the centuries. The fact is that human religion is really based on “I am right,” rather than on “God is right” – even when they confuse the issue by whacking you on the forehead with a King James Bible. True faith derives from an encounter with the living God, not from a list of precepts. It was an encounter with the risen Christ that changed Saul’s life and transformed him from a murderer of Christians to a believer himself. Like 007, he set off to Damascus with a “License to Kill” in his pocket, breathing “threats and murder” against those who followed “The Way.” But along the road to Damascus, he stumbled onto “The Way” himself when he met the risen Savior. I don’t know exactly what happened or how it happened, but Paul’s experience was that of a bright, blinding light and a voice: “Why are you persecuting me?” Saul was knocked off his feet, he had the rug pulled out from under him. He went from an absolutely self-assured raging crusader to a blinded, helpless man whose world had been turned upside-down. But that’s what an encounter with the living God does to people! It turns their world upside-down, turns their certainties into doubts, and makes them sure of only one thing – that there is indeed a God, and they are not Him! From this experience, Saul had to completely rebuild his life, had to turn 180 degrees and reverse the entire direction of his being. But the amazing thing is that God lets us take such U-turns, in fact He often makes them happen! Conversions do happen, they are real, and when they happen like this they are very fundamental in nature. Paul, as he came to be known rebuilt his life on a new foundation – not the foundation of a list of religious beliefs, but the foundation of actual experience, an actual relationship with the very Savior he had once doubted with complete certainty. His new life was built on faith, not dogma. And this brings up an important point about faith – one that I often discuss with members and friends that experience times of doubt or pain of challenge. “Faith” is an abused and misused word! But when we use FAITH in a normal sentence – such as “I have faith that Joe will do the right thing,” or “I have faith in you.” Do we mean that we are stubbornly and blindly believing against all evidence that Joe, who is a crack addict in and out of jail who abandoned his family, embezzled from his employer, and has destroyed pretty much every relationship in his life will, because of our belief, suddenly turn around and behave completely out of character? NO! We mean that even in a new situation that we’ve never experienced, we expect that the reliable, good, solid person that we have watched in other situations over the years, will do the right thing – because that’s what Joe does. Our faith is based on our experience with Joe, in our relationship with Joe. FAITH is based on experience – on relationship, not on willfully believing a list of particular silly things. It is when we know another person that we are confident of what that person will do in any situation. One of my favorite bits from Count Zinzendorf is actually a footnote to a sermon on one of Paul’s letters, about a comment that is a little ambiguous and hard to translate. In the footnote, the good Count wrote: “I am sometimes confused about what Paul means here, but I am saved from error because I know the One about Whom he is speaking.” I know the One about Whom he is speaking! Again, on the road to Damascus, Paul went from being absolutely confident of his own rightness, of being 100% unshakably certain that everything on his list of litmus tests for Jewish orthodoxy were RIGHT to a blind, shaky confused man who had actually experienced the presence of the Savior. He had to rebuild his life on that RELATIONSHIP and ACTUAL EXPERIENCE of the Savior now rather than on a list of proposition. There are Christians, in fact many Christians, who will tell you that you are not a “good” Christian if you believe in evolution or the big Bang or that the Earth was not created on 23 Oct, 4004 BC (as Bishop James Ussher confidently decreed) or some other date picked out of a hat by another fundamentalist based on some other Rube Goldberg contraption of contrived logic. BALONEY. The True Christian life is based on a real relationship with the Savior, EXPERIENCE of God of Creation. As a result, the growing faithful Christian will often have periods of doubt and questions as he or she grows, as his self-assured beliefs are challenged by a Damasucs Road experience, as her childish beliefs have to fall by the wayside in the experience of grown-up situations that call for grown up courage and grown up faith in a grown-up God! Now, the fact of the matter is that as we grow in faith – that being again a living relationship with a living Savior, not some superficial belief in a set of propositions – we will wrestle with new and deeper spiritual issues and questions. We will never be at the same spot on the journey of faith as someone else; and so inevitably some will see further down the road than others, one standing at the top of a hill will see beyond the valley that another is in. Both are on the same journey, following the same Savior, but at different points. And such differences in perspective inevitably cause differences in opinion and perception. How could it be otherwise? But the true test of those who are part of the Kingdom is that they are called to be One even when experiencing such differences in perspective. This is nothing new! Paul ran into this sort of thing right away with Peter, who after all felt that he was the proper head of the Church – and who at this point believed that the message was only for Jews, not for Gentiles. 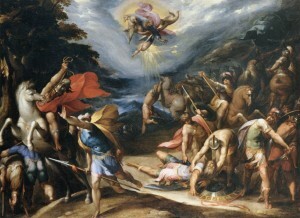 They had quite a wrestling match over this, in fact Paul’s calling to preach to the Gentiles nearly cost him his relationship with the Church in Jerusalem – and this tension was only resolved through Peter’s visionary experience, another intervention of the divine not unlike Paul’s Damascus Road experience. Our Moravian Church has experienced such differences and struggles over the centuries, and will continue to struggle with these issues as surely as God made little green apples. If we stop having these struggles, that will be the time to feel for the pulse, shake the head sadly, and pull the sheet up – for we will be dead. Turmoil, differences, and struggle are not signs of weakness, they are signs of life. So in all of this the question that I would leave you with is this: HOW DO YOU EXPERIENCE THE SAVIOR? This entry was posted by PastorJohn on January 28, 2013 at 7:55 pm, and is filed under Christian Life, Church Year, Covenant, Faithful Living, Grace, Redemption, Science, Tradition. Follow any responses to this post through RSS 2.0. Both comments and pings are currently closed.